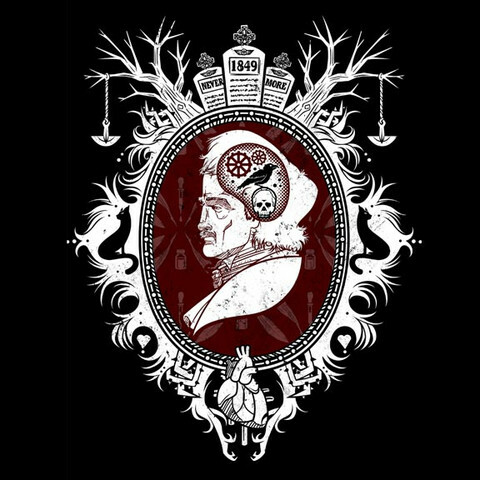 PopUpTee.com is having a sale of OneBluebird’s “Master Minds and Evil Geniuses” series. Some of the usual geeky graphic t-shirt suspects are featured (Sherlock, Doc Brown, Voldemort), but my personal favorite is his intricate print of Edgar Allan Poe. Can you catch all the literary references in the design? For more info on OneBluebird, check out the artist’s Facebook page.